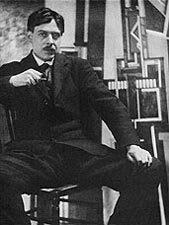 Percy Wyndham Lewis, 1882–1957, is credited with founding the only modernist cultural movement indigenous to Britain. Nonetheless, he is seldom spoken of in the same breath as Ezra Pound, James Joyce, T. S. Eliot, and others of his generation. Lewis was one of a number of cultural figures who rejected the legacy nineteenth-century of bourgeois liberalism and democracy that had descended on the twentieth. However, unlike many other writers who eschewed democracy, liberalism, and “the Left,” Lewis also rejected the counter-movement that sought to return to the past and embrace the intuitive, the emotional, and the instinctual above the intellectual and the rational. Lewis particularly denounced D. H. Lawrence for his espousal of instinct above reason and for what appeared to be a celebration of the doctrine of the “noble savage,” which has served as the basis of liberalism from the eighteenth century on. Lewis was an extreme individualist, while rejecting the individualism of nineteenth century liberalism. His espousal of a philosophy of distance between the cultural elite and the masses brought him to Nietzsche, although appalled by the popularity of Nietzsche among all and sundry; and to Fascism and the praise of Hitler, but to the rejection of these also as appealing to the masses. Born in 1882 on a yacht off the shores of Nova Scotia, his mother was English, his father an eccentric American army officer without income who soon deserted the family. Wyndham and his mother arrived in England in 1888. He attended Rugby and Slade School of Art, both of which obliged him to leave. He then wandered the art capitals of Europe being influenced by Cubism and Futurism. In 1922, Lewis exhibited his portfolio of drawings that had been intended to illustrate an edition of Shakespeare’s Timon of Athens, in which Timon is depicted as a snapping puppet. This illustrated Lewis’ view that man can rise above the animal by classical detachment and control, but that the majority of men will always remain as puppets or automata. Having read Nietzsche, Lewis was intent on remaining a Zarathustrian-type figure, solitary upon his mountaintop far above the mass of humanity. Lewis was originally associated with the Bloomsbury group, the pretentious and snobbish intellectual denizens of a delineated area of London who could make or break an aspiring artist or writer. He soon rejected these parlor pink liberals and vehemently attacked them in The Apes of God. This resulted in a turning point—a downward turn—in Lewis’ career: “Raucous controversy followed.” The manuscript had been rejected by Lewis’ publisher, Chatto and Windus, and he had published the book himself under the imprint of “The Arthur Press.” Matters were not helped by Lewis’ Hitler in 1932. His close supporter Roy Campbell was also dragged down with him, although Campbell would clearly have suffered the same opposition from Bloomsbury because of his own views. To stand against this kind of opposition was not easy. Yet that was precisely what Lewis did, despite lack of funds and a refusal to throw himself on the mercy of “well-connected” persons. During the 1930s, when it was the fashion in Britain to assume a left-wing viewpoint, Lewis would have none of it. When one reflects upon the radical political sympathies displayed by men who have since joined the Establishment, Lewis’s own refusal to be badgered, jockeyed or inveigled into alliance with the left-wing intelligentsia shows stoutness of character and independence of spirit. And now that a New Left has arisen, Lewis’s work possesses a fresh relevance especially as today’s radicalism combines its assault upon the “foundations” of society with the most pitiful essays in the scabrous . . . . How Lewis would have trounced it all . . . Breaking with Bloomsbury’s Omega Workshop, Lewis founded the Rebel Art Centre from which emerged the Vorticist movement and their magazine Blast: Review of the Great English Vortex, “blowing away dead ideas and worn-out notions,” as Lewis put it. Signatories to the Vorticist Manifesto included Ezra Pound, French sculptor Henri Gaudier-Brzeska, and painter Edward Wadsworth. T. S. Eliot was also an adherent, contributing articles to Blast 2. Pound, who described the vortex as “the point of maximum energy,” coined the name Vorticism. While Lewis had found both the stasis of Cubism and the frenzied movement of Futurism interesting, he became indignant at Marinetti’s description of him as a Futurist and wished to found an indigenous English modernist movement. The aim was to synthesize Cubism and Futurism. Vorticism would depict the static point from which energy arose. It was also very much concerned to reflect contemporary life where the machine was coming to dominate but rejected the Futurist romantic glorification of the machine.
. . . People of all classes, people who stood to lose by it, were in a positive ferment about the idea of liberty. There must have been some idea which enabled them to think that something positive could come out of so essentially negative a thing. There was, and here I get my definition of romanticism. They had been taught by Rousseau that man was by nature good, that it was only bad laws and customs that had suppressed him. Remove all these and the infinite possibilities of man would have a chance. This is what made them think that something positive could come out of disorder, this is what created the religious enthusiasm. Here is the root of all romanticism: that man, the individual, is an infinite reservoir of possibilities, and if you can so rearrange society by the destruction of oppressive order then these possibilities will have a chance and you will get Progress. One can define the classical quite clearly as the exact opposite to this. Man is an extraordinarily fixed and limited animal whose nature is absolutely constant. It is only by tradition and organization that anything decent can be got out of him.
. . . Put shortly, these are the two views, then. One, that man is intrinsically good, spoilt by circumstance; and the other that he is intrinsically limited, disciplined by order and tradition to something fairly decent. To the one party man’s nature is like a well, to the other like a bucket. The view which regards man as a well, a reservoir full of possibilities, I call the romantic; the one which regards him as a very finite and fixed creature, I call the classical. Hulme makes it clear that “romanticism” is the dogmatic underpinning of the dominant liberal paradigm of Western societies. Lewis’s classicism is constructed around a set of dichotomies: classicism versus romanticism, reason versus emotion, intellect versus intuition and instinct, masculine versus feminine, aristocracy versus democracy, the individual versus the mass, and later fascism versus communism. The Vorticist aesthetic lent itself readily to proto-fascist and conservative interpretations: “disciplined, blunt, thick and brutal” designs, clarity and form as opposed to the art that dissolves in the “vagueness of space,” as Lewis described it. Artistically classicism also meant clarity of style and distinct form. Pound was drawn to the manner in which, for example, the Chinese ideogram depicted ideas succinctly. Hence, art and writing were to be based on terseness and clarity of image. The subject was viewed externally in a detached manner. Pound and Hulme had founded the Imagist movement on classicist lines. This was now superseded by Vorticism, depicting the complex but clear geometrical patterns of the machine age. In contradiction to Italian Futurism, Vorticist art aimed not to depict the release of energy but to freeze it in time. While depicting the swirl of energy, the central axis of stability distinguished Vorticism from Futurism. Vorticism was however rejected by Lewis during the course of the First World War as being “bleak and empty,” as something that needed “filling,” while in literature, words and syntax should not be subjects of abstraction.
. . . Your flabby potion is a mixture of the lees of Liberalism, the poor froth blown off the decadent Nineties, the wardrobe—leavings of a vulgar bohemianism. . . . You are concentrated, highly-organized barley water: there is nothing in the universe to be said for you: any efficient state would confiscate your property, burn your wardrobe—that old hat and the rest—as infectious, and prohibit you from propagating.
. . . A breed of mild pervasive cabbages has set up a wide and creeping rot in the West . . . that any resolute power will be able to wipe up over night with its eyes shut. Your kind meantime make it indirectly a period of tribulation for live things to remain in your neighborhood. You are systematizing the vulgarizing of the individual: you are the advance copy of communism, a false millennial middle-class communism. You are not an individual: you have, I repeat, no right to that hair and to that hat: you are trying to have the apple and eat it too. You should be in uniform and at work, not uniformly out of uniform and libeling the Artist by your idleness. Are you idle?
. . . The only justification of your slovenly appearance it is true is that it’s perfectly emblematic. In 1918, Lewis was commissioned as an official war artist for the Canadian War Records Office. Here some of his paintings are of the Vorticist style, depicting soldiers as machines of the same quality as their artillery. Again, man is shown as an automaton. However, the war destroyed the Vorticist movement, Hulme and Gaudier-Brzeska both succumbing, and Blast did not go beyond two issues. In accusing yourself, stick to the Code of the Mountain. But crime is alien to a Herdsman’s nature. Your self must be your Caste. Cherish and develop side by side, your six most constant indications of different personalities. You will then acquire the potentiality of six men . . . Each trench must have another one behind it. Spend some of your time every day in hunting your weaknesses caught from commerce with the herd, as methodically, solemnly and vindictively as a monkey his fleas. You will find yourself swarming with them while you are surrounded by humanity. But you must not bring them up on the mountain . . .
Do not play with political notions, aristocratisms or the reverse, for that is a compromise with the herd. Do not allow yourself to imagine a fine herd though still a herd. There is no fine herd. The cattle that call themselves ‘gentlemen’ you will observe to be a little cleaner. It is merely cunning and produced by a product called soap . . .
Be on your guard with the small herd of gentlemen. There are very stringent regulations about the herd keeping off the sides of the mountain. In fact your chief function is to prevent their encroaching. Some in moment of boredom or vindictiveness are apt to make rushes for the higher regions. Their instinct fortunately keeps them in crowds or bands, and their trespassing is soon noted. Contradict yourself. In order to live you must remain broken up. Above this sad commerce with the herd, let something veritably remain “un peu sur la montagne.” Always come down with masks and thick clothing to the valley where we work. Stagnant gasses from these Yahooesque and rotten herds are more dangerous than the wandering cylinders that emit them. . . . Our sacred hill is a volcanic heaven. But the result of the violence is peace. The unfortunate surge below, even, has moments of peace. “The Code of a Herdsman” seems particularly reminiscent of Nietzsche’s “Of the Flies of the Market Place” in Thus Spoke Zarathustra. The credo also indicates why Lewis could not for long stay an admirer of Fascism or National Socialism—“Do not allow yourself to imagine a fine herd though still a herd. There is no fine herd”—since Fascism and Nationalism Socialism elevate the “herd,” culturally, socially, and economically. Poverty dogged Lewis all his life. He, like Pound, looked for a society that would honor artists. Like Pound and D. H. Lawrence, he felt that the artist is the natural ruler of humanity, and he resented the degradation of art to a commodity. The working of the “democratic” electoral system is of course as follows: A person is trained up stringently to certain opinions; then he is given a vote, called a “free” and fully enfranchised person; then he votes (subject, of course, to new and stringent orders from the press, where occasionally his mentor commands him to vote contrary to what he has been taught) strictly in accordance with his training. His support for everything that he has been taught to support can be practically guaranteed. Hence of course, the vote of the free citizen is a farce: education and suggestion, the imposition of the will of the ruler through the press and other publicity channels, canceling it. So “democratic” government is far more effective than subjugation by physical conquest. Support for Fascism was a product of his Classicism—his valorization of the hard, the masculine, exactitude, and clarity—as well as his long-held opinions regarding democracy and the masses. This classicism prompted him to applaud the “rigidly organized” Fascist State, based on changeless, absolute laws that Lewis applied to the arts, in opposition to the “flux” or changes of romanticism. You as a Fascist stand for the small trader against the chain store; for the peasant against the usurer: for the nation, great or small, against the super-state; for personal business against Big Business; for the craftsman against the Machine; for the creator against the middleman; for all that prospers by individual effort and creative toil, against all that prospers in the abstract air of High Finance or of the theoretic ballyhoo of Internationalism. Nonetheless, Lewis had reservations about Fascism just as he had reservations about commitment to any doctrine, not only because of the mass—or “herd”—nature of Fascism, but because the principle of action, of the man of action, becomes too much of a frenzied activity, where stability in the world is needed for the arts to flourish. He states in Time and Western Man that Fascism in Italy stood too much for the past, with emphasis on a resurgence of the Roman imperial splendor and the use of its imagery, rather than the realization of the present. As part of the “Time cult,” it was in the doctrinal stream of action, progress, violence, struggle, of constant flux in the world, that also includes Darwinism and Nietzscheanism despite the continuing influence of the latter on Lewis’s own philosophy. An early appreciation entitled Hitler was published in 1931, sealing Lewis’ fate as a neglected genius, despite his repudiation of anti-Semitism in The Jews, Are They Human? and Nazism in The Hitler Cult both published in 1939. Lewis claimed that “Time philosophy” is committed to ongoing change and flux, whereas the philosophy of “Space” is committed to form and presence, the foundations of classicism, which Spengler disparaged in favor of the formless infinite yearning of “Faustian” man. The emotionally-excited, closely-packed, heavily-standard-ized mass-units, acting in a blind, ecstatic unison, as though in response to the throbbing of some unseen music—of the sovietic . . . fancy—would be the last thing, according to me, for the free democratic West to aim for, if it were free, and if its democracy were of an intelligent order . . .
Democracy and the advertisement are part and parcel of this debasement, and behind it all stands money, including the “millionaire bohemians” who control the arts. Making a romantic image of the machine, starting in Victorian times, is the product of our “Money-age.” Vorticism, states Lewis, depicts the machine as befits an art that observes the Present, but unlike Futurism, does not idolize it. It is technology that generates change and revolution, but art remains constant; it is not in revolt against anything other than when society promotes conditions where art does not exist, as in democracy. The intellect is more removed from the crowd than is anything: but it is not a snobbish withdrawal, but a going aside for the purposes of work, of work not without its utility for the crowd . . . More than the prophet or the religious teacher, (the leader) represents . . . the great unworldly element in the world, and that is the guarantee of his usefulness. And he should be relieved of the futile competition in all sorts of minor fields, so that his purest faculties could be free for the major tasks of intelligent creation. We by birth the natural leaders of the white European, are people of no political or public consequence any more . . . We, the natural leaders of the world we live in, are now private citizens in the fullest sense, and that world is, as far as the administration of its traditional law of life is concerned, leaderless. Under these circumstances, its soul, in a generation or so, will be extinct. One could argue that here again the process of industrialization and the type of economic system that it entails, along with urbanization and the primacy of the City are not conducive to anything other than the creation and sustaining of a frenzied, hurried mass, on board an economic treadmill. Every part of life is becoming subjected to the need for haste, even gastronomically in the form of “fast food” as the modern era’s cuisine. The need for longer working hours proceeds contrary to the early expectations that the machine age would usher forth an era of more leisure during which the multitude would have time to reflect upon and even to create great art and literature, as per the utopian ideals of early socialist aesthetes such as William Morris and Oscar Wilde. Lewis’ hope that individuals might one day be compelled to relax in solitude in order that they might become real individuals is further away than ever. In 1939, Lewis and his wife went to the USA and on to Canada where Lewis lectured at Assumption College, a situation that did not cause discomfort, as he had long had a respect for Catholicism even though he was not a convert. Lewis, the perpetual polemicist, began a campaign against extreme abstraction in art, attacking Jackson Pollock and the Abstract Expressionists. Monopolistic interests, with all the power such great interests dispose, set their face against any change in an antiquated system which has served their purpose so well, and which has so many advantages from their standpoint over a new model. The fairyland of bank capital and grandiose universal usury, out of which region a deep fog of unreality forever drifts overt into politics . . . is an Arcanum, of the very existence of which the average educated man is ignorant . . . Returning to England, Lewis received some “official” recognition when he was commissioned to write two dramas for BBC radio and became a regular columnist for The Listener. May be handed all the trumpets that you will. Is all the pulpit they can hope to get. Of High Finance, or the foot-hills of same. The man I am he who does not play the game! This is the England he portrays in his 1951 novel Rotting Hill (Ezra Pound’s name for Notting Hill) where Lewis and his wife lived. The Welfare State symbolizes a shoddy utility standard in the pursuit of universal happiness. Socialist England causes everything to be substandard including shirt buttons that don’t fit the holes, shoelaces too short to tie, scissors that won’t cut, and inedible bread and jam. Lewis seeks to depict fully the socialist drabness of 1940s Britain. Frederic Jameson, Fables of Aggression: Wyndham Lewis, the Fascist as Modernist (Berkeley: University of California Press, 1981), p. 1. William H. Pritchard, Wyndham Lewis (London: Routledge and Keegan Paul, 1972), p. 2. Wyndham Lewis, The Apes of God (Publisher? 1932). Bradford Morrow, “A History of an Unapologetic Apologia: Roy Campbell’s Wyndham Lewis,” Blast 3 (Santa Barbara: Black Sparrow Press, 1984), p. 11. E. W. F. Tomlin, “Wyndham Lewis: The Emancipator,” Blast 3, p. 109. William C. Wees, “Wyndham Lewis and Vorticism,” Blast 3, p. 47. Blast 2 (Santa Barbara: Black Sparrow Press, 1981). T. E. Hulme, Speculations (1911), “Romanticism and Classicism” (New York: Harcourt, Brace and World Inc., 1936), p. 114. See for example the Chinese ideograms illustrating the concept of Confusion social order in Pound’s Jefferson and/or Mussolini (New York: Liveright, 1970), Chapter XXIX: “Kung,” which he equates with Fascist order. Also the Chinese ideograms used in Pound’s Cantos LI and LIII. Wyndham Lewis, Rude Assignment: A narrative of my career up-to-date (London: Hutchinson, 1950), p. 129. Wyndham Lewis, Tarr (1918) (Harmondsworth: Penguin Books, 1982), pp. 25–26. Friedrich Nietzsche, Thus Spoke Zarathustra, trans. R. J. Hollingdale (Harmondsworth: Penguin books, 1969), pp. 78–81. Roy Campbell, “Wyndham Lewis,” Blast 3, p. 15. Wyndham Lewis, The Art of Being Ruled (London: Chatto & Windus, 1926), p. 111. Oswald Mosley, My Life (London: Nelson, 1968), p. 225. Wyndham Lewis, “Left Wings,” British Union Quarterly, January–April, 1937, in Selections from BUF Quarterly (Marietta, Georgia: The Truth At Last, 1995), p. 137. “Left Wings,” British Union Quarterly, p. 137. K. R. Bolton, “November 1917: Wall Street & the November 1917 Bolshevik Revolution,” Ab Aeterno, No. 5, October–December 2010 (Academy of Social and Political Research). Yet he rejected Pound’s admonition to study C. H. Douglas’ social credit, and referred to “credit-cranks”—Lewis, The Hitler Cult (London: Dent, 1939), p. 26, apparently not offering a practical alternative to what he also termed “Credit Kings” and the “Emperors of Debt” (Lewis, Doom of Youth [New York, 1932], p. 35). Doom of Youth, p. 35. Paradoxically, Lewis, despite his support for Hitler and Mosley, had never supported Italian Fascism, regarding it as being “political futurism.” Bryant Knox, “Ezra Pound on Wyndham Lewis’s Rude Assignment,” Blast 3, p. 161. Lewis, Left Wings Over Europe (London: Jonathan Cape, 1936), p. 165. Lewis, Time and Western Man (London: Chatto & Windus, 1927), p. 262. Spengler did not “disparage” other cultures; he sought to describe their inner essence as a detached observer. Time and Western Man, pp. 39–40. Time and Western Man, p. 42. Time and Western Man, pp. 51–52. Time and Western Man, p. 53. Time and Western Man, p. 69. Wyndham Lewis, Men Without Art (London: Cassell, 1934), p. 263. Wyndham Lewis, Pale Face: The Philosophy of the Melting-Pot (London: Chatto and Windus, 1929), p. 82. Time and Western Man, p. 138. Lewis, America and Cosmic Man (New York: Country Life Press, 1949), p. 18. America and Cosmic Man, p. 27. America and Cosmic Man, pp. 30–31. America and Cosmic Man, pp. 158–59. Lewis, “If So the Man You Are,” 1948, The Penguin Book of Contemporary Verse (Harmondsworth: Penguin Books, 1965), pp. 73–74.